The less frantic section of the show was a blessing for the staff who knew the heaviest episodes were about to come – in retrospect, we can say they made the right choice! 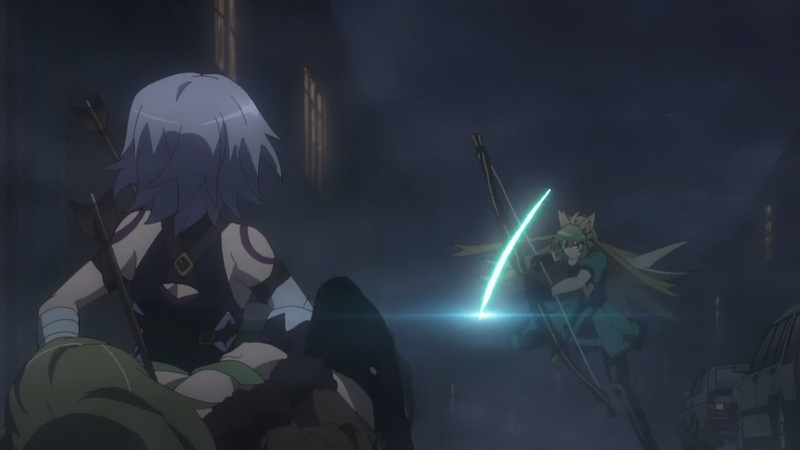 And, although the grand action is the main reason why people pay attention to Fate/Apocrypha, this downtime is filled with interesting production details as well. Read more to find out about them! ─ Another relatively quiet episode, giving us time to digest the previous one and allowing the staff leeway to prioritise the upcoming highlights. 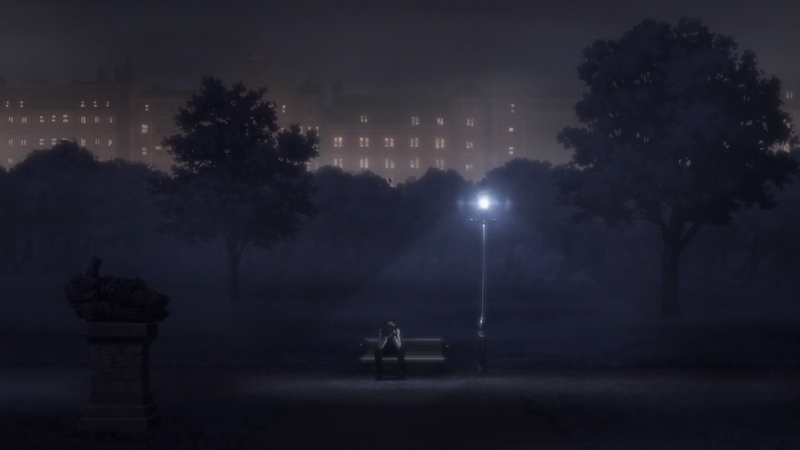 I may have been less than kind about Tadahito Matsubayashi’s work on the 2nd ending in the previous post, but here I can say that I appreciate his attempts to spice up the events through his storyboard despite all the obvious production constraints the show is facing. The depiction of scale and depth within Babylon seemed to be a key focus for him in particular, though what caught my eye the most was the presentation of Shakespeare during his monologue towards the end. He serves no purpose within the Great Grail War other than to be an amusing buffoon in the first place, so it only feels right to make every scene with him as over the top as possible. 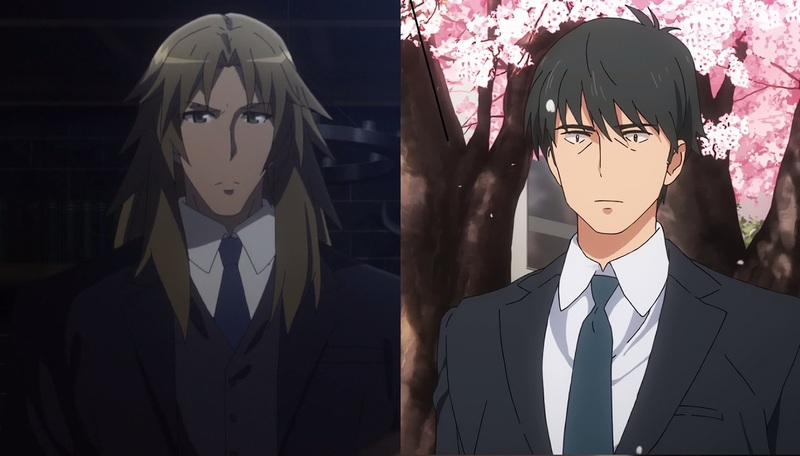 The show keeps doing a decent job at matching presentation quirks with the traits of the characters, as seen with the lively mannerisms that adorn Astolfo’s appearances. 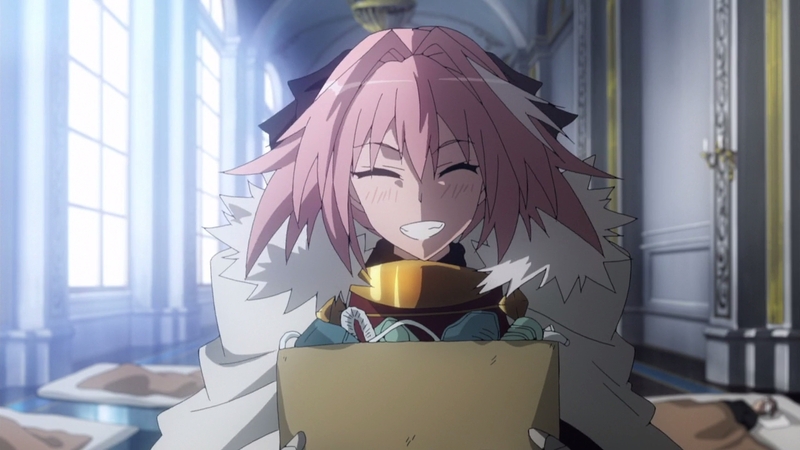 ─ Speaking of which: Astolfo smiled, thus this is a scientifically good episode. ─ I continue to be amused by the dynamic between Mordred and Shishigo. The former finishing his thoughts when Shishigo is revealing the ulterior motives of his plan shows how well they work with each other, and their camaraderie still feels very genuine. These two remain very likable and pleasant to follow despite their ruthlessness when it comes to the war itself. 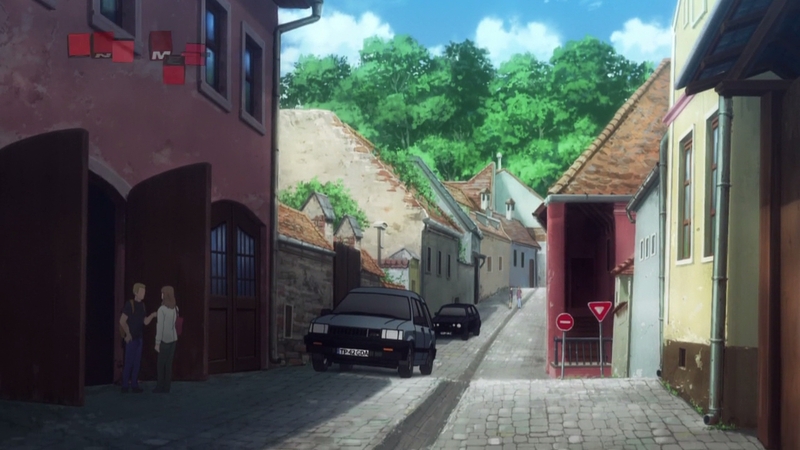 ─ Something I’ve neglected to mention thus far – technically a good thing as it allows me to do so in an episode with little else to address – is the architecture and layouts in locations like Trifas. 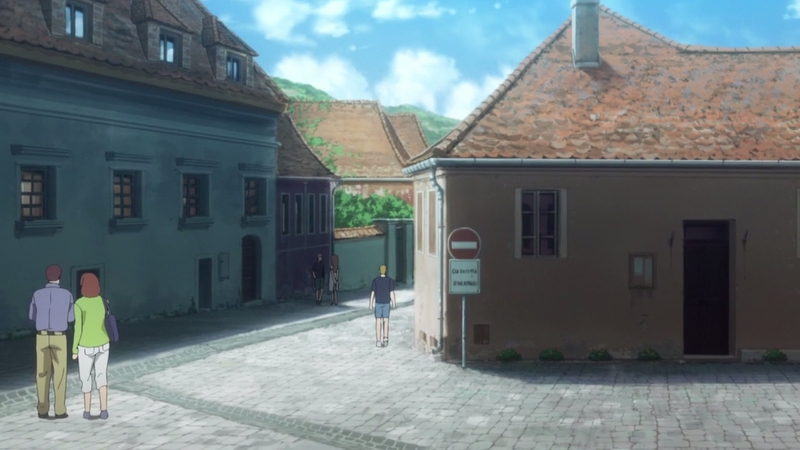 This is an area that I’ve felt to be generally uninspired, but here they’ve made a conscious effort to capture the feel of a somewhat rural town, making adventures outside the Yggdmillennia’s disappointingly dull fortress all the more worth looking forward to. ─ Astolfo…would you like to become an idol? ─ Imagine that! 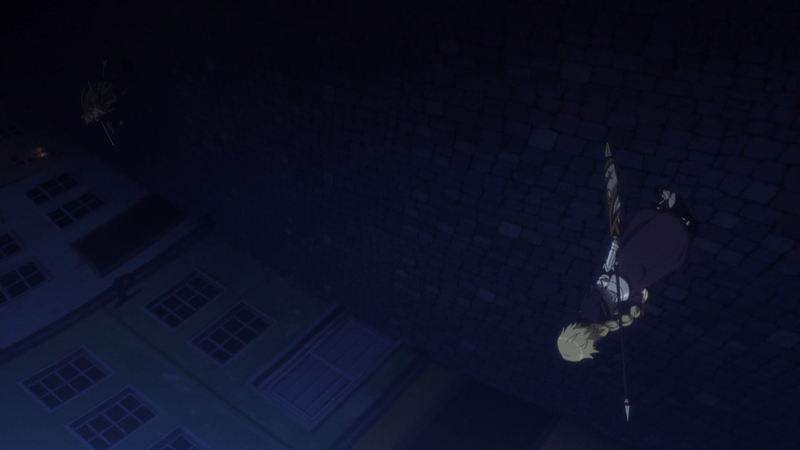 We find ourselves on another adventure into Trifas, this time for the sake of Jeanne and Sieg’s date an important mission to lure Jack the Ripper out into the open. 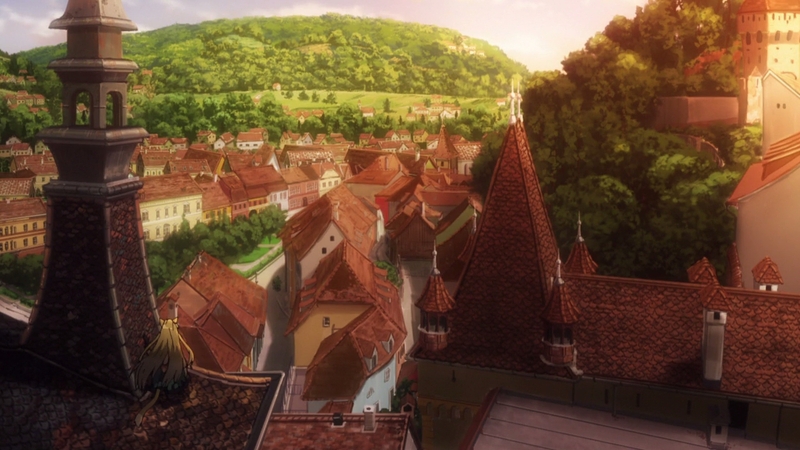 The town feels more alive than ever as they walk through it, though it’s Atalanta’s outlook on the town as she scouts out things for herself that steals the spotlight this time around. 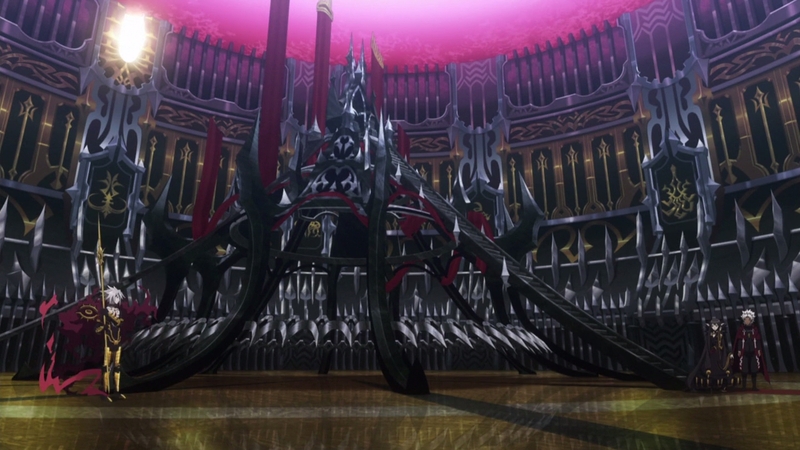 Apocrypha isn’t exactly renowned for its backgrounds, truth to be told. If anything it’s one of the major complaints myself and others hold in addition to its color design and composite, so it’s nice to see moments like this, even if they serve as a reminder as to what could have been. 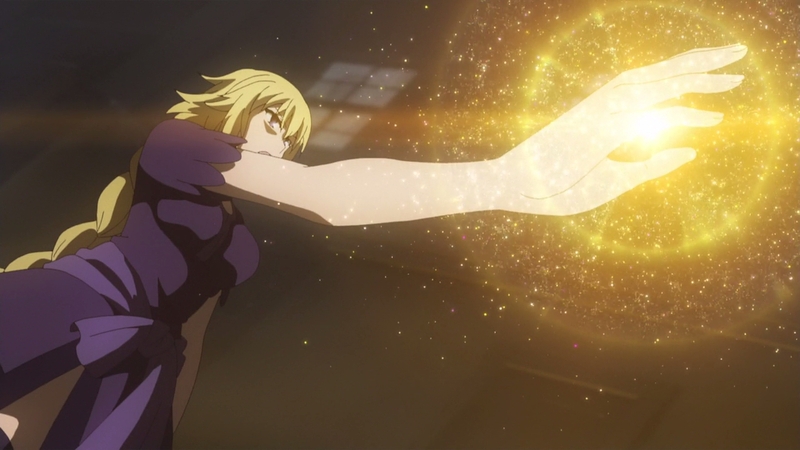 ─ Speaking of Atalanta, I already mentioned the association between her arrows and the use of azure FX once before when discussing the traits linked to each servant. They’re making an effort to keep these traits as consistent as possible, considering the azure tint is still present even during a moment as minor as her drawing an arrow in response to Jack as she jumps backwards. ─ Yasuhiro Irie made his promised return to the show, once again tackling an episode with Jack as a primary focus. Not suspicious at all! 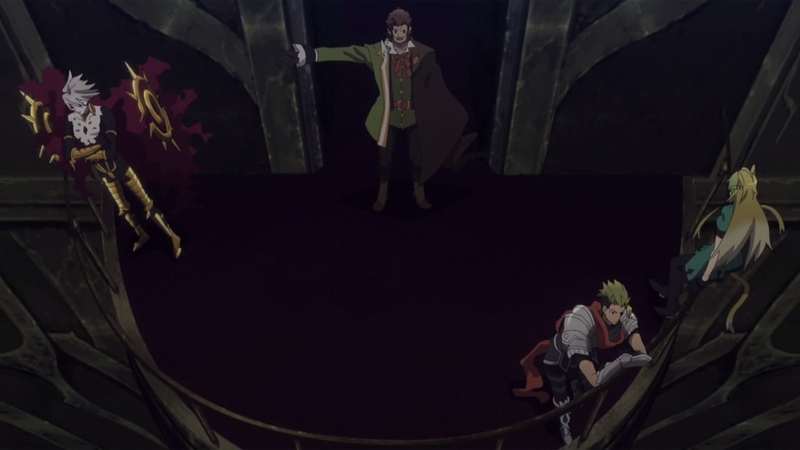 An episode featuring little to no action, too, meaning we were deprived once more of seeing his prowess in that area. 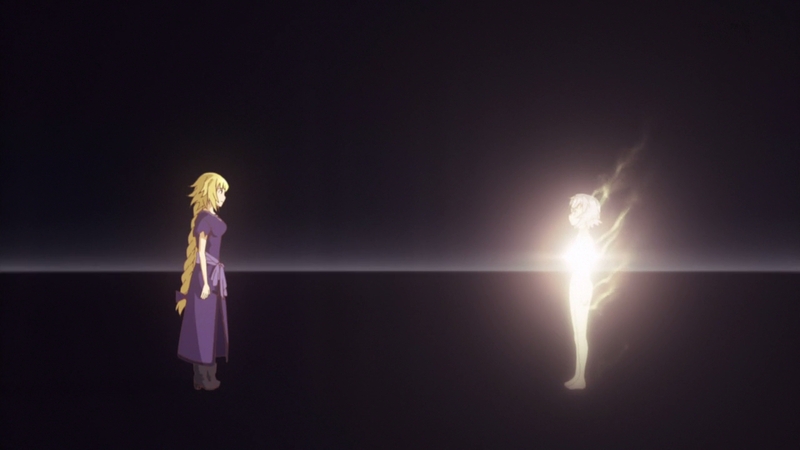 While it didn’t quite match up to the work that we know he’s capable of, it’s not without its moments; he took a somewhat delicate approach to Sieg’s shock and ensuing isolation upon the revelation of what people are capable of, not to mention the parallels he drew between the events in London and the use of him and his fellow homunculi. Anime viewers are trained to expect the depiction of events like these to be as heavy-handed as possible, but fortunately Irie’s touch is more elegant even when dealing with very unsubtle material. 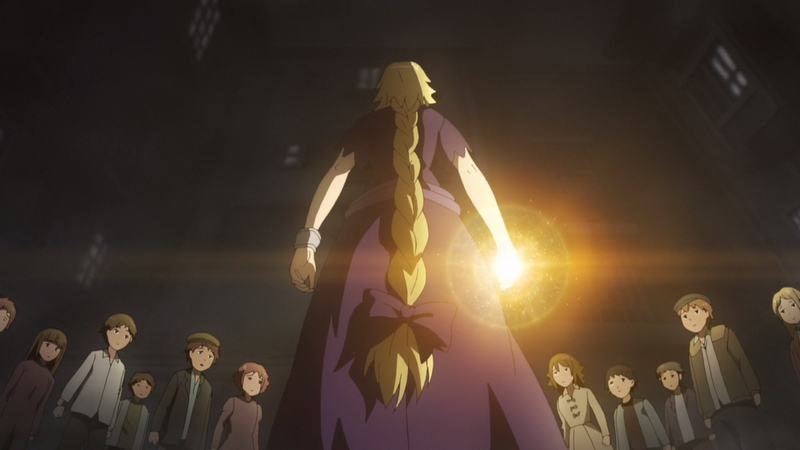 We also have Jeanne’s resolution in the face of children who seek salvation that won’t ever come, with framing that makes the power she holds over both their and Jack’s fate very clear, leading to the latter’s resignation and admission of pity for Jeanne. All well and good, but I would also appreciate it if he didn’t remind me of the horrors one could find within a certain person’s storyboards on Occultic;Nine. 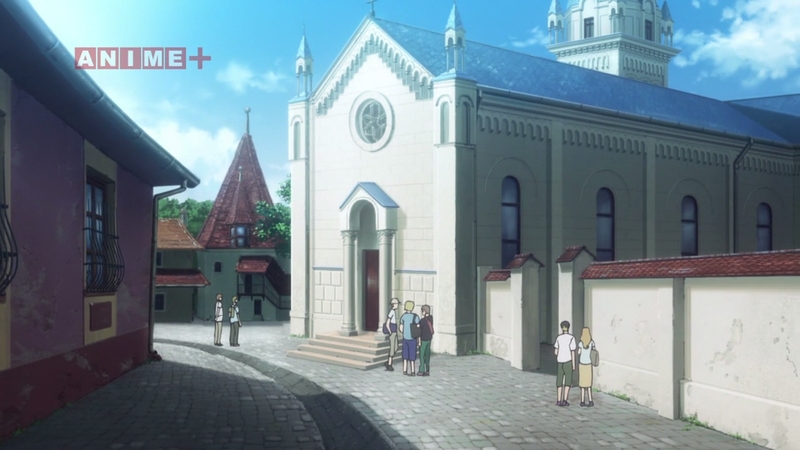 ─ Irie isn’t the only interesting name to be featured in this episode. Episode director Kazuya Monma took his first foray into this field earlier this year, but what’s most interesting is his background before that. He started out in A-1’s photography department all the way back in 2007 with Big Windup!, and remained there for a few years until eventually moving over to their CG department, getting involved in major projects like 2011’s Blue Exorcist and The [email protected]. He still lent his hand to the composite crews of projects like Welcome to the Space Show in 2010 and Noriko Takao’s Saint Young Men film in 2013, but it was clear that his career path was intertwined with CG work by this stage, even more so with his debut as 3D director on Uta no Prince-sama‘s second season. 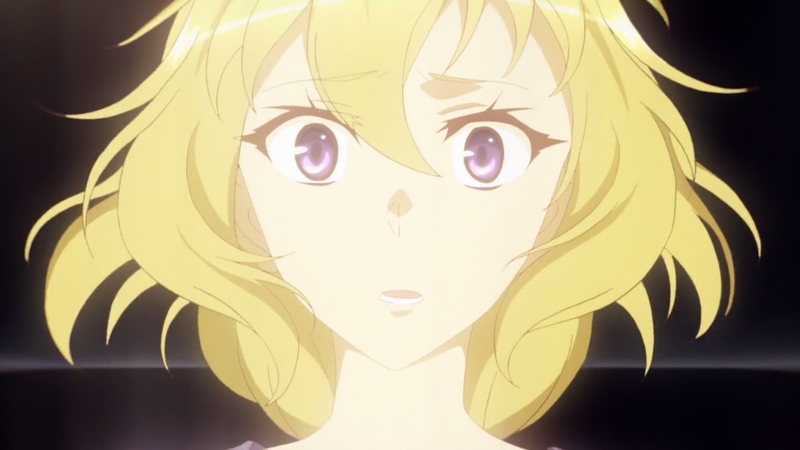 His range became even wider this year, as Ryohei Takeshita allowed him to debut as episode director on Eromanga-sensei. Chances are that this was out of necessity more than anything else, since it’s a well-known fact that the project’s schedule was a big mess, but Takeshita himself was open about how trustworthy Monma was for a newcomer. From the perspective of a viewer I can’t quite say he stands out yet, but it’s an interesting development nonetheless as it ties in with the recent minor trend of CG staff at A-1 being appointed with directorial roles. 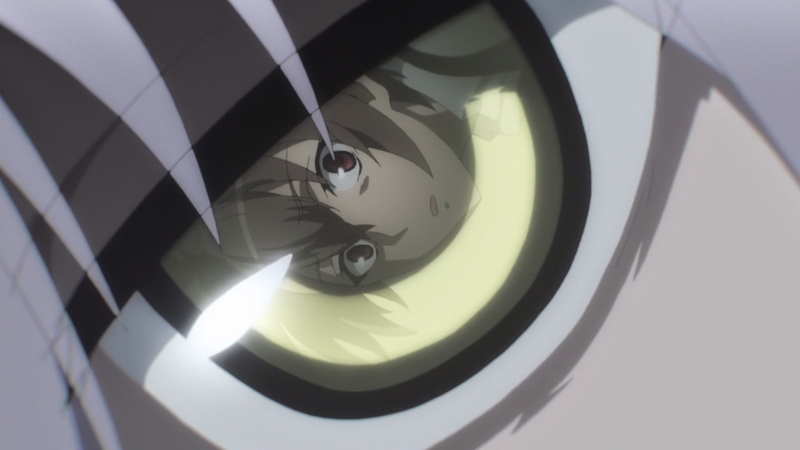 Ryuta Ono can be seen as the poster child of this movement, as his debut on episode 9 of Occultic;Nine – a show he also served as CG director for – allowed him to weave his 3D experience into the storyboards, providing unique results within a production laced with some of the industry’s strongest talent. That same experience has since been put into use on Juuni Taisen, so now the question we’re left with is whether or not Monma can reach these same heights. Consider me curious!